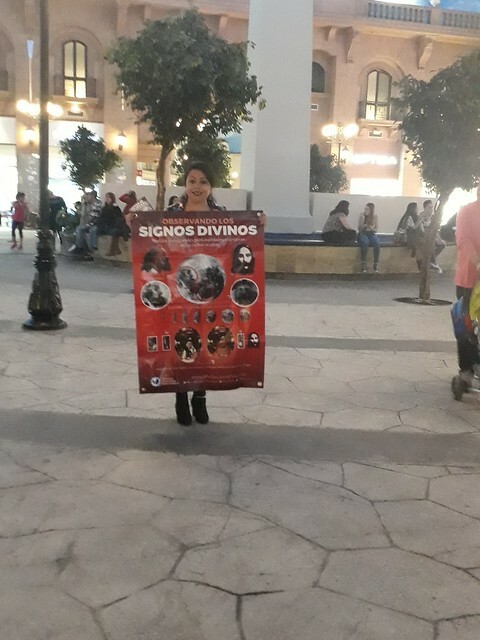 On the 7th of October, 2018, members of Messiah Foundation Mexico, publicised the message of HDE Lord Ra Riaz Gohar Shahi in the busiest streets of Mexico. Our members also held up large banners displaying the divine signs on the Moon, Sun and Holy Black Stone. Overall, the response was overwhelmingly positive and we hope to continue this mission throughout Mexico and other countries of the world over the course of this year!